Product prices and availability are accurate as of 2019-04-23 15:14:39 UTC and are subject to change. Any price and availability information displayed on http://www.amazon.com/ at the time of purchase will apply to the purchase of this product. From #1 New York Times bestselling author Lisa See, “one of those special writers capable of delivering both poetry and plot” (The New York Times Book Review), a moving novel about tradition, tea farming, and the bonds between mothers and daughters. In their remote mountain village, Li-yan and her family align their lives around the seasons and the farming of tea. For the Akha people, ensconced in ritual and routine, life goes on as it has for generations—until a stranger appears at the village gate in a jeep, the first automobile any of the villagers has ever seen. The stranger’s arrival marks the first entrance of the modern world in the lives of the Akha people. Slowly, Li-yan, one of the few educated girls on her mountain, begins to reject the customs that shaped her early life. When she has a baby out of wedlock—conceived with a man her parents consider a poor choice—she rejects the tradition that would compel her to give the child over to be killed, and instead leaves her, wrapped in a blanket with a tea cake tucked in its folds, near an orphanage in a nearby city. As Li-yan comes into herself, leaving her insular village for an education, a business, and city life, her daughter, Haley, is raised in California by loving adoptive parents. Despite her privileged childhood, Haley wonders about her origins. Across the ocean Li-yan longs for her lost daughter. Over the course of years, each searches for meaning in the study of Pu’er, the tea that has shaped their family’s destiny for centuries. 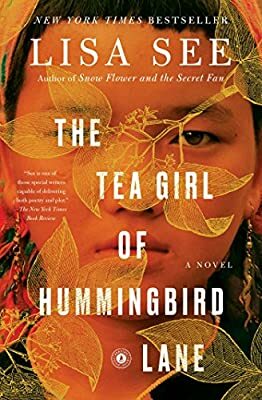 A powerful story about circumstances, culture, and distance, The Tea Girl of Hummingbird Lane paints an unforgettable portrait of a little known region and its people and celebrates the bond of family.